IRVINE, Calif., August 8, 2018 – (RealEstateRama) — CoreLogic® (NYSE: CLGX), a leading global property information, analytics and data-enabled solutions provider, announced today that My Florida Regional MLS (MFRMLS) will be offering the Spanish language option for the Matrix™ multiple listing platform to its 57,000 members in central and southwest Florida. Matrix from CoreLogic is the most widely used multiple listing platform in North America with more than 800,000 end users. The platform has been applauded for its outstanding operating speed, performance, and scalability. The Matrix platform also has a multi-language capability and has been deployed natively with Spanish, French, Chinese, and Japanese translation options in various national and international markets. For multiple listing organizations that wish to support bilingual agents and the many consumers that they serve, the Matrix platform’s multi-language capability helps remove potential language barriers from the real estate process. “Making Spanish available as a language option is a benefit for the many Spanish speaking MFRMLS subscribers and consumers they serve,” says Merri Jo Cowen, CEO of MFRMLS. Earlier this year, MFRMLS incorporated the RESO Data Dictionary into the Matrix systemnatively, making it easier to translate the fields and field enumerations into other languages. Headquartered in Altamonte Springs, FL, My Florida Regional MLS (MFRMLS) is Florida’s largest multiple listing service (MLS) company with over 57,000 members in 17 central and southwest Florida counties. Owned by 15 shareholder Realtor® boards, MFRMLS offers a comprehensive suite of productivity and marketing tools to professionals in the real estate industry. To complement its core residential offerings, MFRMLS operates a commercial information exchange, called My Florida Commercial Real Estate, located at MFCRE.com. MFRMLS also operates the consumer home and property search website State27Homes.com. For more information, please visit MFRMLS.com. 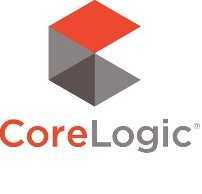 CORELOGIC, MATRIX and the CoreLogic logo are trademarks of CoreLogic, Inc. and/or its subsidiaries. All other trademarks are the property of their respective owners. CoreLogic (NYSE: CLGX) is a leading global property information, analytics and data-enabled solutions provider. The company’s combined data from public, contributory and proprietary sources includes over 4.5 billion records spanning more than 50 years, providing detailed coverage of property, mortgages and other encumbrances, consumer credit, tenancy, location, CoreLogic® to Integrate Centralized Showing Service with Matrix™ Page 2 hazard risk and related performance information. The markets CoreLogic serves include real estate and mortgage finance, insurance, capital markets, and the public sector. CoreLogic delivers value to clients through unique data, analytics, workflow technology, advisory and managed services. Property Data Leader. Powering Housing Through Data, Analytics and Connectivity. CoreLogic® (NYSE: CLGX), a leading global property information, analytics and data-enabled solutions provider, announced today that My Florida Regional MLS (MFRMLS) will be offering the Spanish language option for the Matrix™ multiple listing platform to its 57,000 members in central and southwest Florida.